The public playground located next to River Heights Elementary in Menomonie would be a fantastic place to romp even without its centerpiece – a super cool, multi-story castle. It’s got great swings and bridges, a fun climbing wall, and more than enough classic jungle gym action to keep your kids moving. But the sprawling castle is definitely the belle of the playground ball. 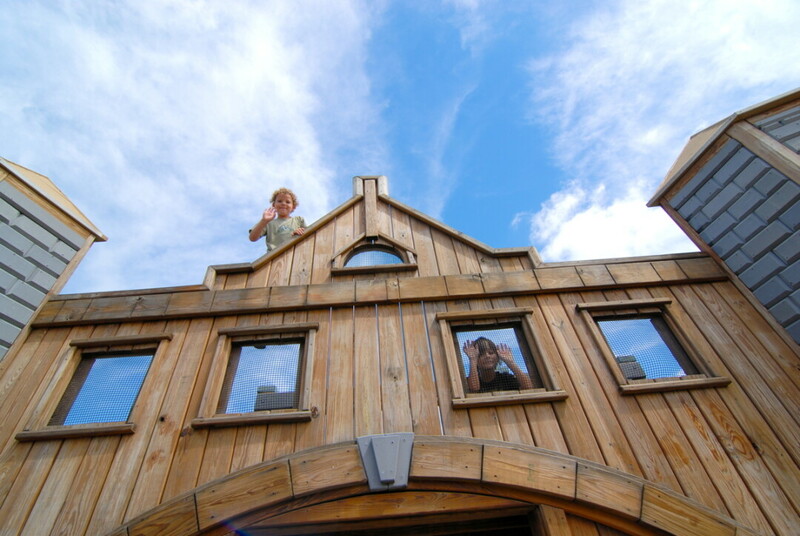 The entrance resembles the nearby Mabel Tainter Center for the Arts, and other features include a playhouse fashioned after Caddie Woodlawn’s home, a “cheese sandbox,” a Viking ship, painted murals, and interactive chimes. The playground is the result of some dedicated parents and neighbors who pulled together hundreds of volunteers and raised $150,000 to make it happen back in 2007. What started as a dozen parents and PTO members grew to include partnerships with the school’s principal and staff, an architectural design class at UW-Stout, dozens of businesses, and even local kids themselves. 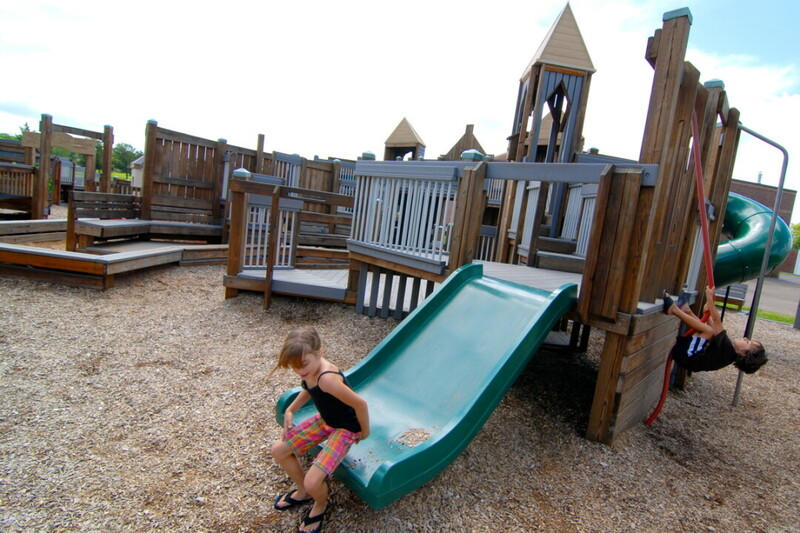 If you don’t live in Menomonie, “The Castle Playground” is a must-go destination while spending the day there.